We have a responsibility to do everything that we can to reduce the quantity of resources that we consume, but that doesn’t mean we have to sacrifice having a beautiful and welcoming home. If you have an upcoming remodeling project or just feel like it’s getting close to a time for a change, then you may end up with leftover materials from old structures and appliances that may not necessarily need to go right to the landfill. 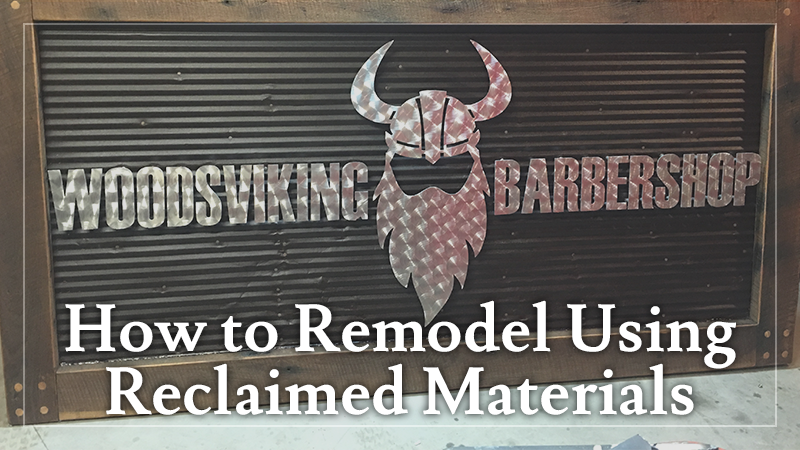 Reclaiming materials this way is less stressful on the environment even when compared to recycling, so keep an open eye for anything that you can repurpose while you plan your renovations. Rust-resistant metals are one of the best materials to salvage. They hold up well to the rigors of time, tending to make it through with minimal staining that can be removed with a wire brush or another abrasive cleaner. Whatever you don’t use can be taken to a recycling center for nearly no waste in the reclamation. Depending on how it was treated and how old it is, you can take wood from your remodeling and use it elsewhere. While not as salvageable as metal, wood is available in such abundance that you will likely have enough leftovers for multiple small projects. Feel free to throw away rotting wood that would ruin the integrity of anything that you make with it, but cuts from opening up a wall or tearing down an unused shed can be transformed into beautiful furniture and decorations. If your local refuse company doesn’t recycle organics, you can chip the rest of it for use as garden bedding or in compost. Lastly, you can find treasures hidden away that just need a touch of love to make them into something new and exciting for your home. For example, an old refrigerator can be painted natural colors and turned on its side for a raised garden bed. 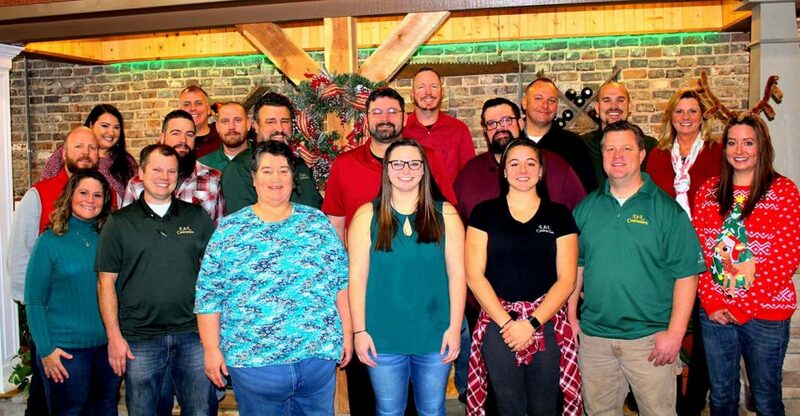 L&L Contractors has had the privilege of performing remodeling projects for customers who were willing and eager to embrace repurposed materials. At Woodsviking Barbershop, their striking sign with company name and logo in bright silver surrounded by darker metal and wood was made entirely from recycled materials. For another client, reclaimed wood was transformed into a rustic sitting bench with a handy compartment for storing shoes and a storage area for coats. 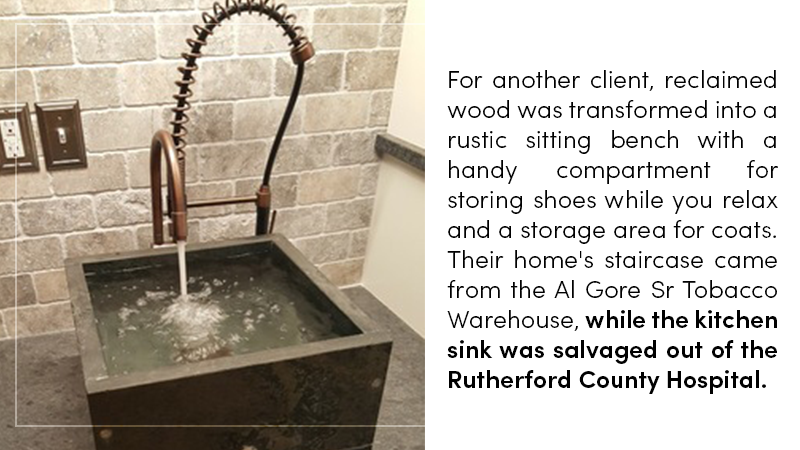 Their home’s staircase came from the Al Gore Sr Tobacco Warehouse, while the kitchen sink was salvaged out of the Rutherford County Hospital. Remodeling can be difficult enough without adding in the complexity of taking old items and repurposing them, but the result is fantastic. 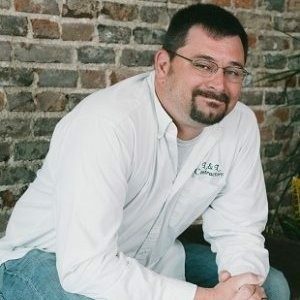 If you want the benefit of both improving your home’s resale value while reducing waste but the hassle of carrying out the project yourself is too much, L&L Contractors can provide a consultation where you can discuss with us what you want and build a plan that makes you and the environment happy.